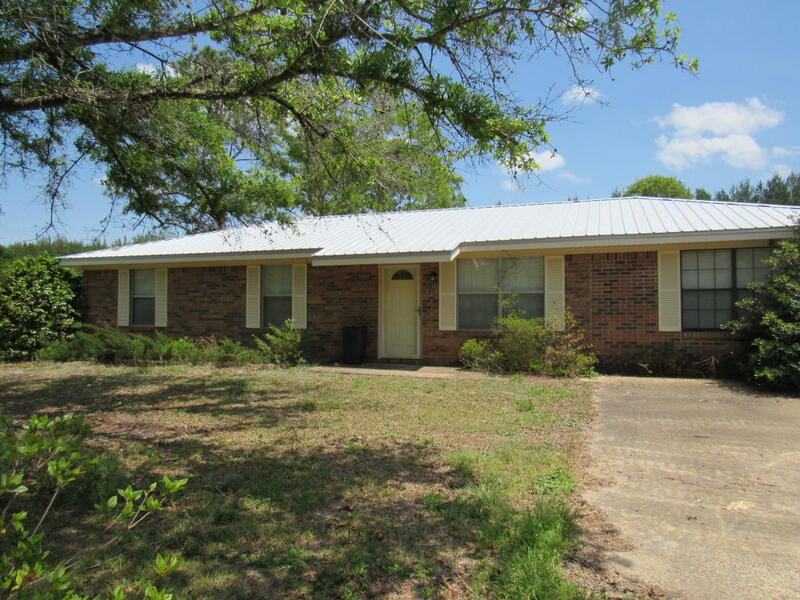 Price Reduced for Great brick rancher on ONE LOT ONLY (.77 Acre) in a well established neighborhood. This home has 3 bedrooms, 1 & 1/2 baths, new metal roof and interior has been previously upgraded. Attractive kitchen with Corian style counter tops, tile floors, Kenmore cook top stove, double door refrigerator, built in wall microwave and oven. Oversized family room (15x24). Master bedroom has a walk-in closet and a half-bath. Easy to show. Home is located close to town on a paved street. Priced to sell. NOTE: Seller is firm on price and will pay no buyer closing costs. Note: Parcel ID number shows two lots, but this listing is for ONE LOT (Lot 8) and the house only. Storage shed is being given no value.